The weather the weekend of the 29th and 30th of October caught us and our electricity company off guard. 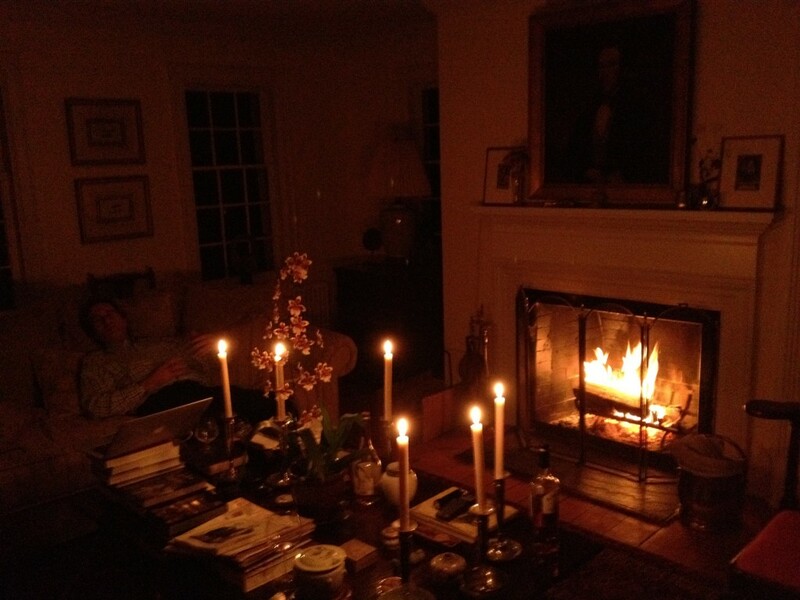 Fortunately, we can cook with gas: and so, after a delicious candlelit dinner, we retired to the sitting room and read poetry to each other in front of a blazing fire. Thomas Hardy, James Fenton, A. E. Houseman. Despite the modernity of the poems, it felt like a quick trip back to the 18th century, when the house was built … though the iPhone Kindle was our one non-print source!